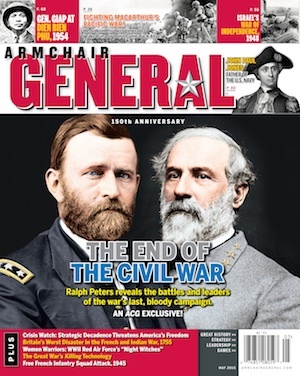 GI Film Festival | Armchair General Magazine - We Put YOU in Command! ArmchairGeneral.com received the following information from the GI Film Festival. The films scheduled include HBO’s Taking Chance. Click here to read ACG‘s interview with the film’s star, Kevin Bacon, and Lt. Col. Michael Strobl. ARLINGTON, Va. – GI Film Festival co-founders Brandon Millett and Major Laura Law-Millett announced today the line-up for the Third Annual festival, which will showcase the world’s best military films and feature special appearances by luminaries from Hollywood, the military and Congress. The festival will run from May 12-18, 2009 at the prestigious Carnegie Institution for Science in Washington DC and other DC area venues, including the National Archives and the Russell Senate Caucus Room. VIP receptions featuring celebrities, top military leaders and warriors, and filmmakers. Invited guests include: Kevin Bacon; Kelsey Grammer; Faizon Love; John Ratzenberger; and Tom Skerritt; as well as General Eric Shinseki, Secretary of Veterans Affairs; Admiral Mike Mullen, Chairman of the Joint Chiefs of Staff; General Richard B. Myers, former Chairman of the Joint Chiefs of Staff; and Gen. George W. Casey, Chief of Staff, U.S. Army. "The GI Film Festival provides a unique opportunity to not only support the American warrior, but to participate in a meaningful and inspirational cultural event," said GI Film Festival co-founder and President Brandon L. Millett. "It is possible to sit through the entire slate of GI Film Festival films and experience the full range of human emotion. Shocking combat films, patriotic tear jerkers, popcorn action films, historical documentaries; we will screen them all." In only its third year, the GI Film Festival has become the most significant venue for the screening of military films and it has achieved some notable successes. One 2007 GI Film Festival premiere, Operation Homecoming, was a finalist for an Academy Award for Best Feature Documentary. Last year’s GI Film Festival "Best Feature Documentary," Brothers at War earned a theatrical distribution deal from the prestigious Samuel Goldwyn Films and is now in theaters. Another award-winning offering from 2008, The Last 600 Meters, will release in theaters and air on PBS in 2010. Tickets for GI Film Festival premiere films are available for $10. Tickets for primetime events, which include film screenings and receptions, are available for $50. Full festival passes are available for $250 and include access to all film screenings and primetime events on Thursday through Sunday. Corporate sponsors for the 2009 GI Film Festival include, among others: Target Corporation; TriWest Healthcare Alliance; America’s Huey 091 Foundation; USO International; Families United; MGM/UA; HBO, Inc.; American Military University, Discovery Communications’ "The Military Channel" and American Airlines, the official airline of the GI Film Festival. For more information, or to request media credentials, please visit www.gifilmfestival.com. VIP passes and single event tickets now on sale. Initial response: WOW! I had no clue that a GI Film Festival existed. It is reassuirng to see, hear, and know that there are inspirait0nal and well known actors and actresses that actively support the military. I will say that advertising seems to be a challenge, but that could simply be my ineptitude at finding information. Film festival was great. I’ll look forward to it again next year. All non-children citizens should see The Last 600 Meters!